Online gambling has become one of the biggest industries across the globe. Research indicates that if properly regulated it can be a boon to any country’s economy which can yield billions of dollars in taxable revenue. Although online gambling is still not legalized and regulated by the Australian government this sector is growing from strength to strength. In recent years the internet gambling market has seen a significant growth in Australia. The Australian Wagering Council (AWC) issued a report which indicates that the online gambling market employs more than a thousand people. This figure includes sports betting and online casinos which yields in excess of $100 million per year in taxes. As more players become online native there’s been a seismic shift from offline betting to online gambling. For the past five years gambling yields over the internet has increased by five percent on average per year. Even though igaming is on the up in Australia, it did not create a wave of problem gamblers as the government and those that oppose it feared. As a matter of fact those who wager online are more responsible that their offline counterparts. Cybergambling is on the up in Australia, it stands to reason, if properly regulated it can be a significant contributor towards the country’s economy. With the advent of new technology there’s been a huge rise in mobile gambling. Players are not only placing bets from their desktops any more but from their mobile devices as well. The Australian Wagering Council states that its betting services on racing and sport over the internet or by telephone provides a service to more than two million Australians. As it is the organization strongly advocates the integrity of sport and is committed to responsible gambling. The Australian government is still losing out on millions of dollars in taxable revenue to foreign-based operators. 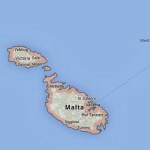 Although they are legitimately licensed in jurisdictions such as Alderney, Curacao, Gibraltar, Isle of Man and Malta. The government deems these sites ‘illegal’ since they’re not licensed in Australia. The Australian Productivity Commission Report on Gambling pointed out that in 2009, the illegal offshore online gambling market netted more than $800 million from Australian players. Irrespective of the Interactive Gambling Act’s aim to try and clamp down on illegal offshore operators, Australians still wager $2 out of every $3 on illegal offshore internet betting sites. H2 Gambling Capital said that approximately $900 million of the bets Australians placed still ends up in the coffers of offshore gambling sites. Nearly 2,500 online casinos and gambling websites target Australians. The income offshore operators gained from the Australian punter is busy declining. The reason for this is many Australians are now beginning to gamble online at Australian licensed sports betting vendors. Not only do they offer better service but more innovative products than their offshore counterparts. This bodes well for Australia in terms off additional revenue and job creation since it can provide a better service to problem gamblers and maintain the integrity of racing and sports in the country. What Does The Australian Government Say About Illegal Gambling Operators? Despite the Australian government’s clear-cut policy on illegal operators, thousands of sites are still flouting it. The Act’s aim is to try and mitigate the impact gambling has on its citizens at large. It does not target the players per se but the kingpins behind the online gambling operations that specifically offer their service to the Australian punter. Any online casino whether it’s based in Australia or offshore, will receive the maximum penalty of $340,000 per day for individuals and $1.7 million per day if it is a body corporate. With reference to the above. When a foreign-based operator refuses to pay the Australian player there’s very little recourse the player has. 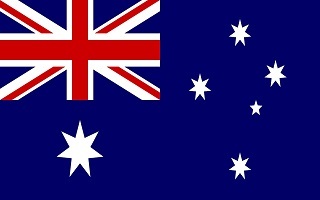 The player can’t turn to the government to intervene since the operator is not licensed in Australia. I’m still stumped as to why the Australian government still hasn’t regulated online gambling. It’s prepared to stand idle as its citizens get scammed by foreign-based sites and lose hundreds of millions of dollars in taxable revenue. Those who oppose online gambling state that if regulated it will create thousands of problem gamblers. This couldn’t be further from the truth. ← Previous StoryCasino Affiliates:What Is Off-Page SEO?